Citation: Pallav Purohit, Markus Amann, Gregor Kiesewetter, Vaibhav Chaturvedi, Peter Rafaj, Hem H. Dholakia, Poonam Nagar Koti, Zbigniew Klimont, Jens Borken-Kleefeld, Adriana Gómez Sanabria,Wolfgang Schöpp, and Robert Sander (2019) ‘Pathways to Achieve National Ambient Air Quality Standards (NAAQS) in India’, March. 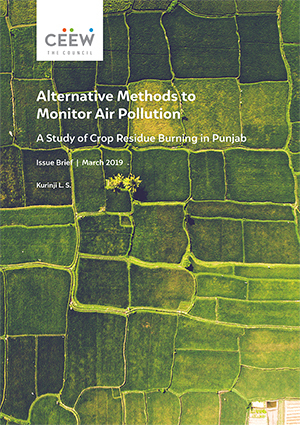 This study, in collaboration with the International Institute for Applied Systems Analysis (IIASA), examines India’s National Ambient Air Quality Standards (NAAQS), existing policies and emission control measures aimed at curbing air pollution, factors contributing to air pollution across the country, and future pathways towards meeting NAAQS over the coming decades. The study also highlights the exposure of citizens to high levels of PM 2.5 across various parts of the country and suggests the need to adopt advanced emission control technologies along with a low-carbon growth model. A large share of India’s population is exposed to pollution levels that do not conform to global and national air quality standards. Exposure to air pollution poses a serious health burden to India. Available health impact assessments suggest that several hundred thousand cases of premature deaths annually are attributable to air pollution. While existing emission control measures could help improve air quality in the short-term if implemented effectively, a more decisive, detailed, and long-term action plan would be needed to control emissions linked to India’s rapid economic growth in the coming decades. About 670 million Indians were exposed to ambient PM2.5 concentrations that did not comply with India’s NAAQS in 2015. Less than one per cent of India’s population enjoyed air quality that met the global World Health Orga¬nization (WHO) benchmark limit of 10 μg/m³ in 2015. About one-quarter of India’s population lived in areas where the WHO guideline was exceeded by more than nine times in 2015. Air pollution emission control costs accounted for about 0.7 per cent of GDP in 2015. This share could increase to 1.4–1.7 per cent by 2030. Emissions from transboundary transport are a dominant source of secondary pollution in several regions. Across all future emission control scenarios, mobile sources like road, rail, tractors, heavy duty vehicles etc. are estimated to account for the largest share of emission control costs. Approximately 930 million citizens would be exposed to concentrations above NAAQS limits in 2050, if existing air pollution policies and controls are not further scaled up. Absence of stringent regulations could allow PM2.5 emissions from the industrial sector to increase by a factor of three following increases in industrial production by 2050. Aligning sustainable development policies and implementation of advanced emission control technologies could provide NAAQS-compliant air quality to about 85 per cent of the Indian population, and could reduce mean population exposure to PM2.5 to about one-third of 2015 levels. 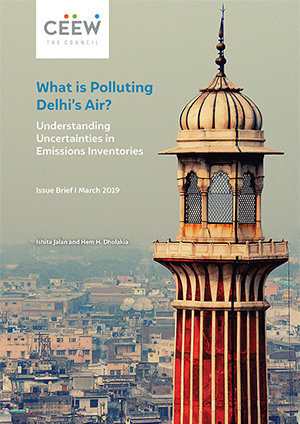 The government must rapidly scale-up existing pollution control measures to ensure that large part of India’s population breathes NAAQS-compliant air even in the long-run. Already implemented measures will be insufficient to halt a further deterioration in air quality in view of the tenfold increase in GDP that is expected by 2050. Any effective reduction of PM2.5 levels needs to balance emission controls across all source sectors. A focus on a single source will not deliver effective long-term improvements and is likely to waste economic resources at the cost of further economic and social development. Regionally coordinated approaches to tackle air pollution will be key. Many states will not achieve significant improvements in their air quality and population exposure without emission reductions in the surrounding regions. 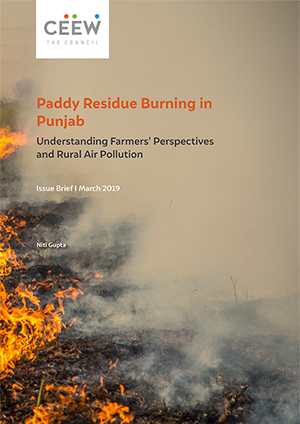 India could consider adopting more advanced technical emission controls such as improved control of flaring in refineries, improved enforcement of laws on burning agricultural waste, and annual inspection and maintenance of residential oil boilers to meet NAAQs. State governments must commission detailed scientific studies to better understand the sources contributing to air pollution in major cities. Aligning sustainable development policies and implementation of advanced emission control technologies could provide NAAQS-compliant air quality to about 85 per cent of the Indian population.